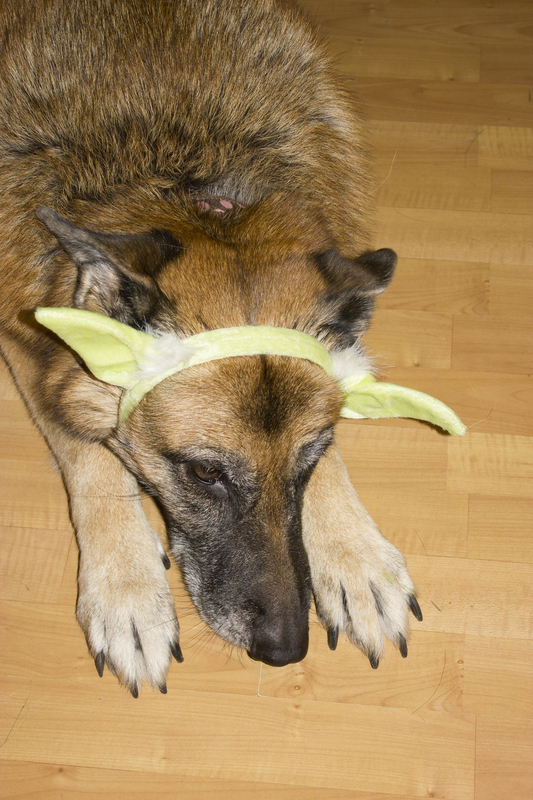 Thanks to Petco for giving us the Yoda ears at BarkWorld. What great photos… Oh the things I could do with four ears! OMG! I want one. 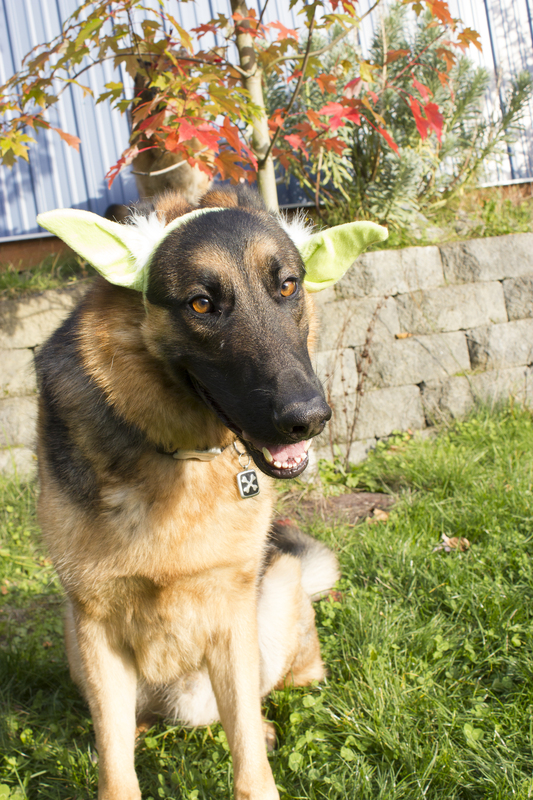 My GSD is named Jedi and I’ve been looking for an extra extra large Darth Vader costume for him. Unfortunately I can only find in medium and small. I guess 85 pound dogs don’t wear costumes? Ha! I just commented on your blog! Jedi definitely needs a pair. Maybe a small child’s costume can be altered to fit him? I have long found it unfair that they don’t make costumes big enough for our kids. Yoda ears! Too funny, and too cute. My dog doesn’t do well with costumes, she gets nervous, lol. Cheers and may the force be with you all. Yeah, you can see how happy Mia is about it. I keep telling myself I won’t torture her with accessories, but what can I say? I’m abusive. I put a birthday hat on Beryl once and it lasted as long as it took for her to shake her head 😦 She only likes to wear collars. Frankie would probably look like Mia if I tried to dress him up, lol! Very cute Yoda ears though. Thank you for a good giggle today!